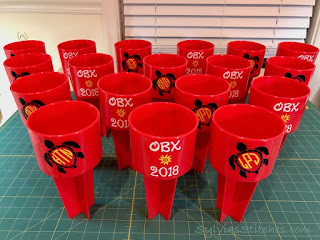 I decided to try something new for our annual group beach trip this past summer. 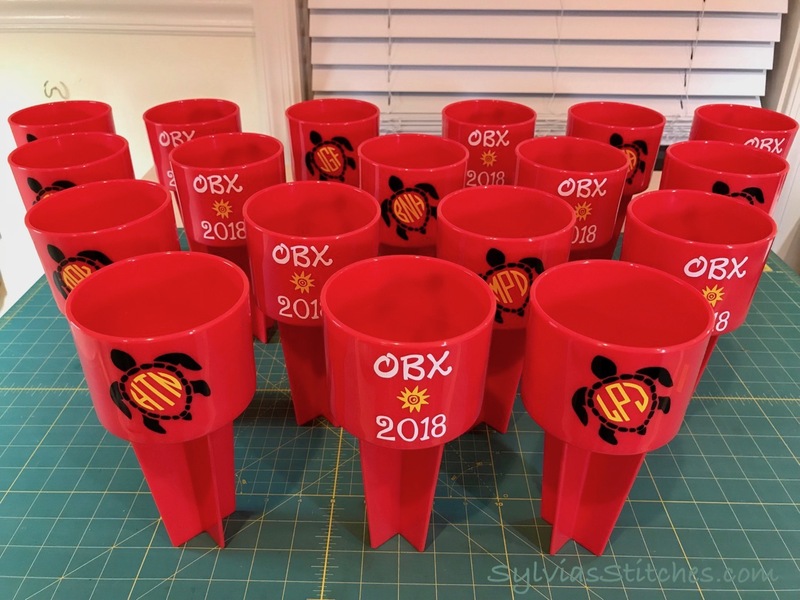 Instead of embroidering something, I used my ScanNCut to decorate Spiker cups for everyone. Spiker cup I decorated using my ScanNCut. 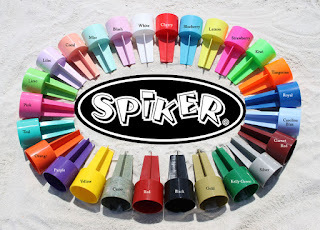 Someone told me about Spiker Cups. 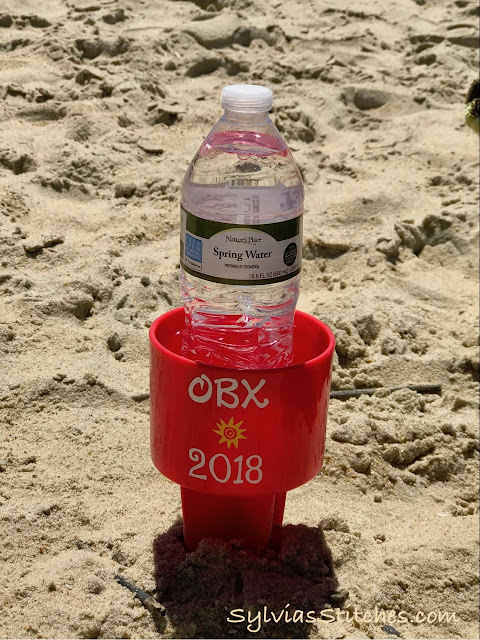 They are handy to keep drinks, phones, and keys out of the sand. I ordered enough for everyone in our group to have their own. 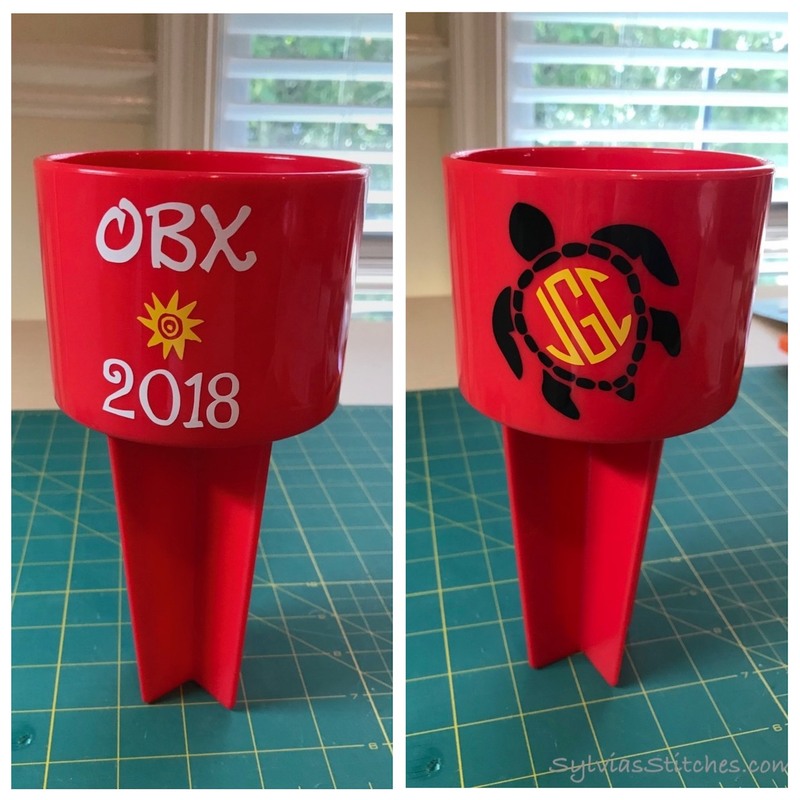 I decorated one side with the OBX 2018 design, and the other had a sea turtle with a monogram. 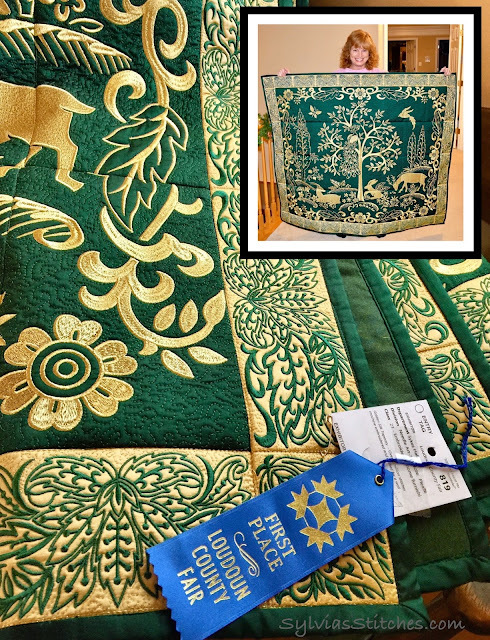 The monograms were created for FREE by using the phone app Monogram It. 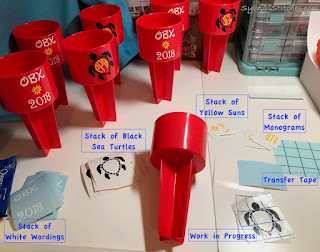 I explain the process the using this app for your monograms in a previous post here. The wording and Sun image design were created for FREE by using the Beach Type font at dafont.com. 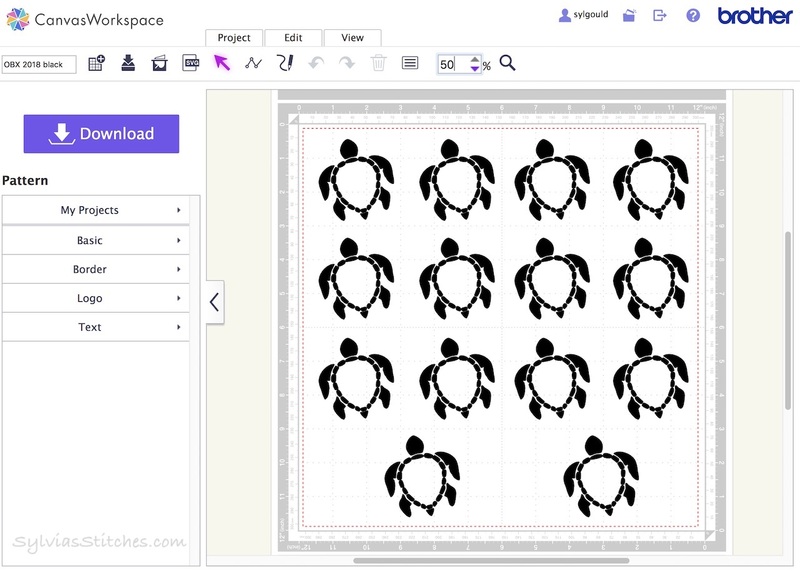 I purchased the sea turtle design from LTCreativeStudio on Etsy for $1.50. 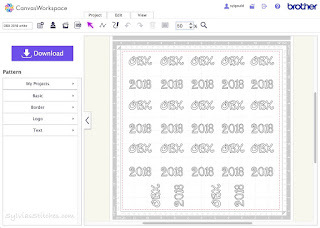 Use the FREE Brother CanvasWorkspace online site to design your decorations. 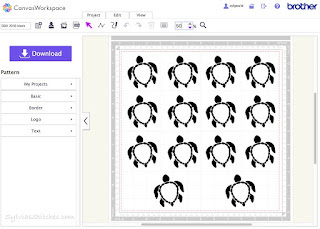 - Create a project for all of your black sea turtles on one page. Size them to fit on the cup. My project file for black vinyl cut. 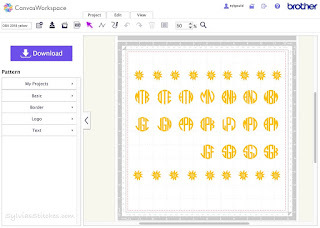 - Create a project for your yellow monograms and sun. 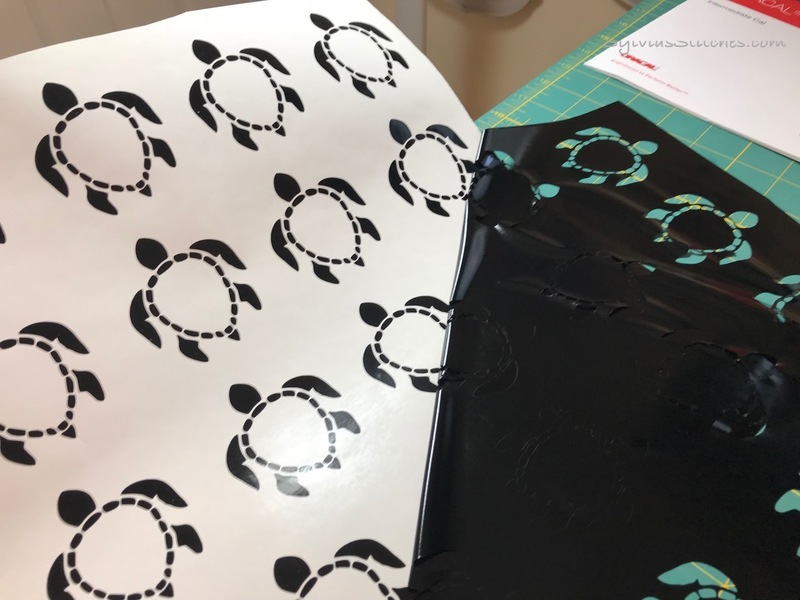 Size the monograms so they fit inside the turtle's back. My project file for yellow cut. 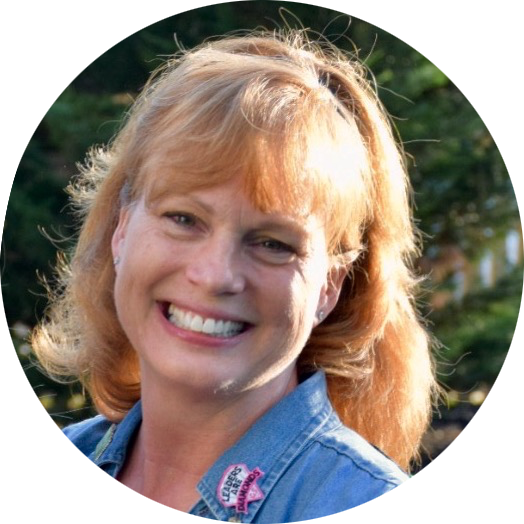 - Create a project for your white wording. Size to fit on the cup. I spaced the wording "OBX" and "2018" so that I could cut the two together as one unit to place on the cup. 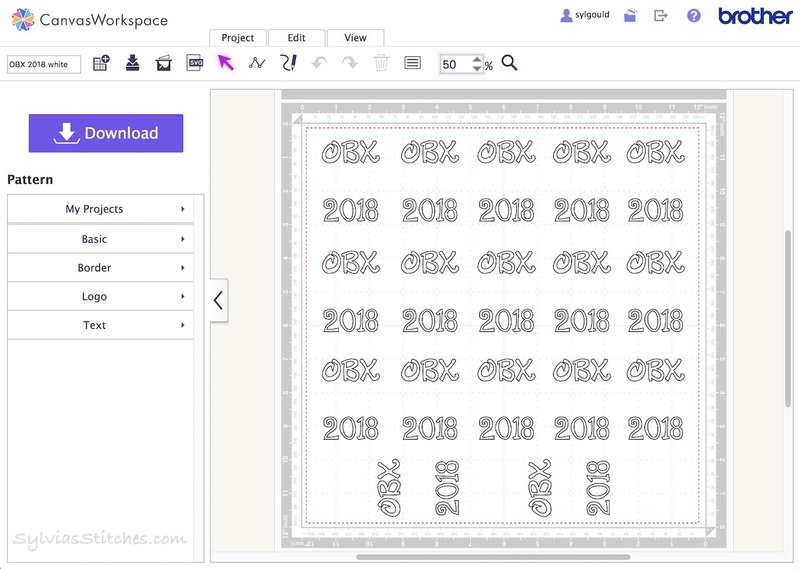 My project file for white cut. - Cut each project file on your ScanNCut and weed each sheet of vinyl. Weeding the black vinyl from the project. 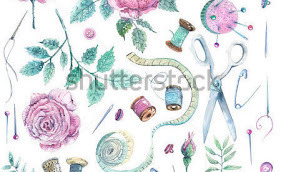 - Use scissors to cut apart each design for placement on your cup. - Make a pile on your work desk for each type of design to be placed on a cup. 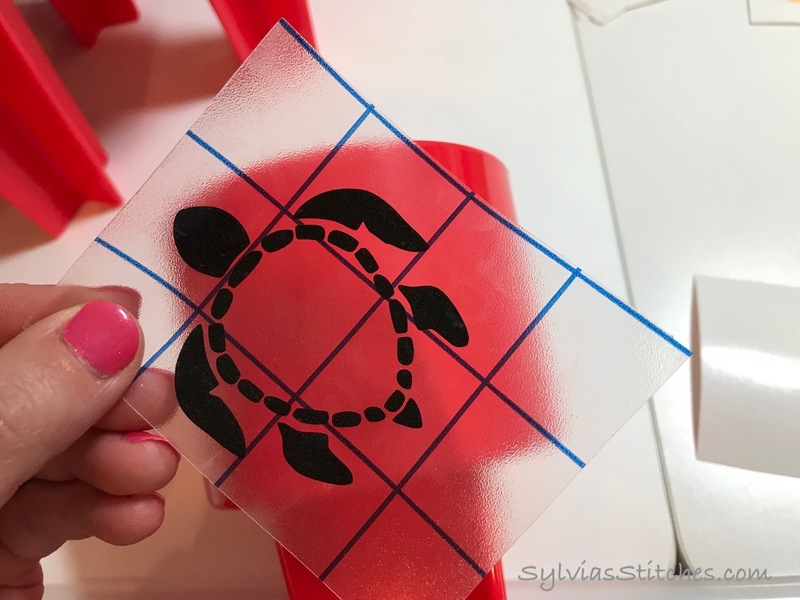 - Using the Transfer Tape, rub it across a cut design piece and slowly peel pick to pull the design away from the sheet backing. 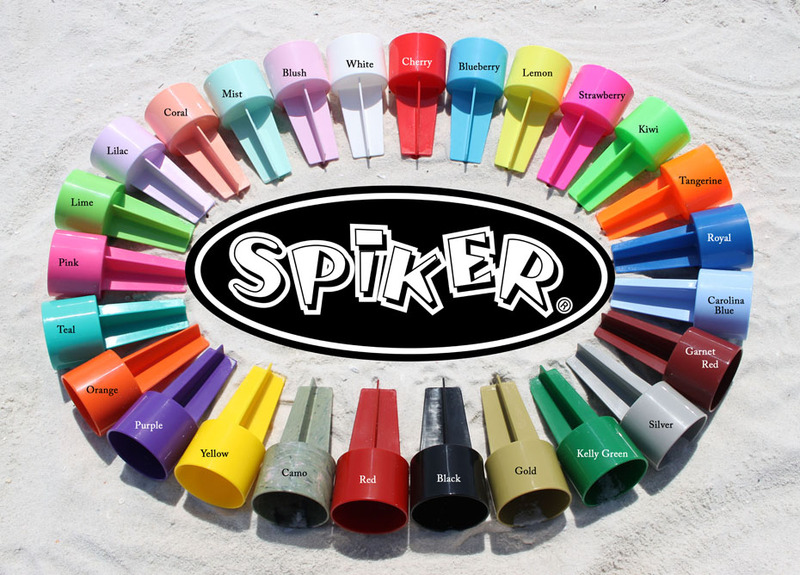 - Align your design the cup as you desire, and rub it smoothly onto it. - Slowly peel back the transfer tape to leave the cut design piece on your cup. 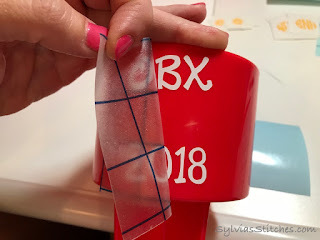 - Reuse the same transfer tape and repeat the above steps to transfer each design element.